Alpenglow on Denali (Mt. 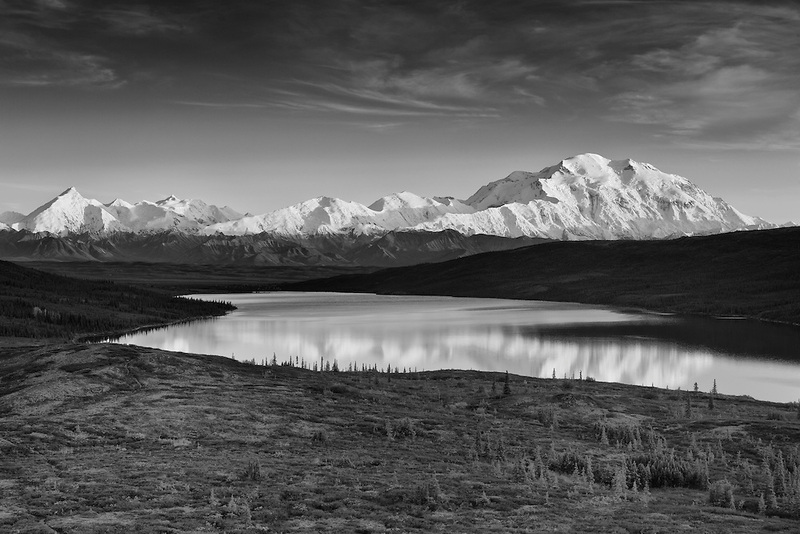 McKinley) and the Alaska Range with Wonder Lake in foreground in Denali National Park in late fall in Southcentral Alaska. Evening.